Happy Thursday! I have a polish to show you today that I bought several months ago, took photos of and then forgot to post! I thought I posted it but obviously not. And it is way too pretty not to share! 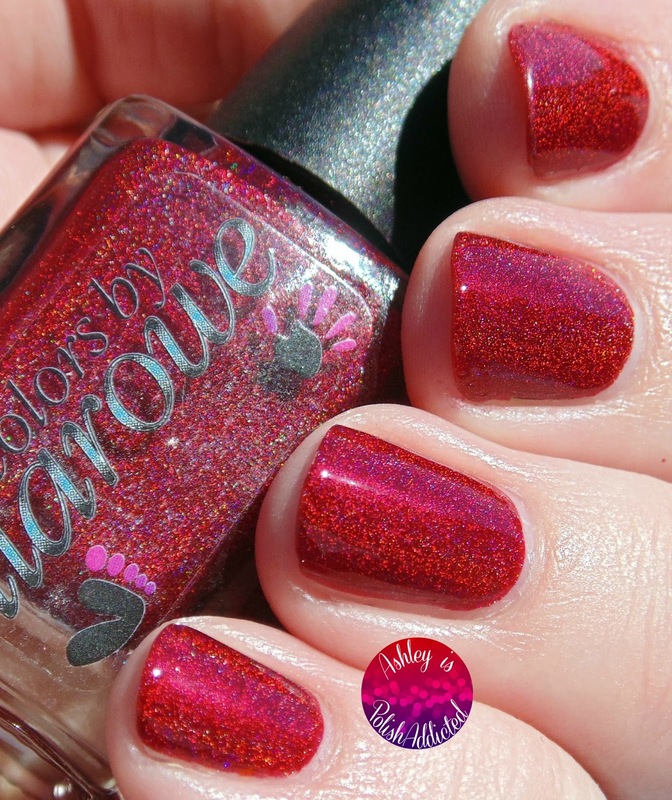 The Mighty Red Baron is on my favorites list - it's red, holo and glowy! Doesn't get much better than that! 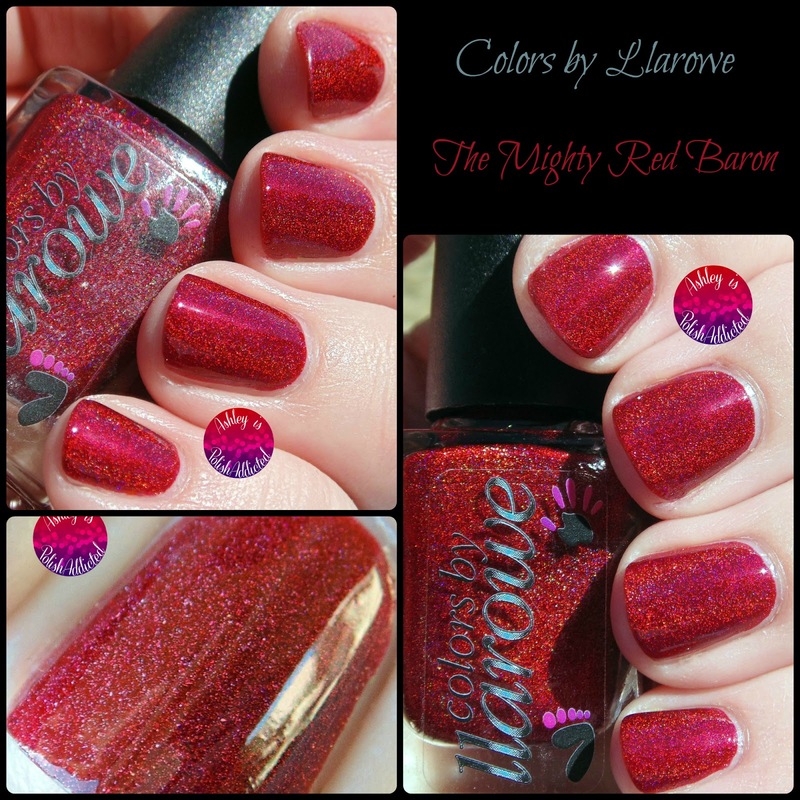 The Mighty Red Baron is a deep red that literally glows from within! This polish is impossible to capture in photos! It is so much prettier in person. The holo is linear but it isn't a typical holo, it's more of a glowy rainbow, if that makes sense. 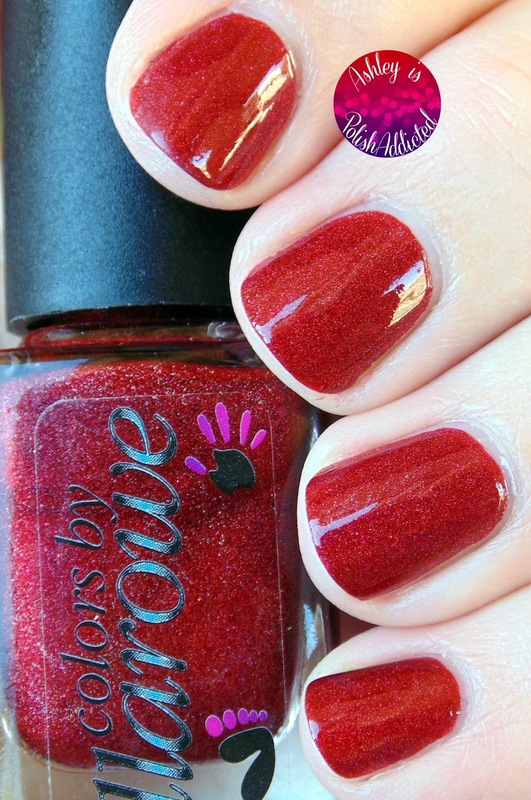 The micro-flakes in this polish give it a lot of depth. If you're a red lover you definitely need this one! I am showing two coats with top coat (though it is smooth to the touch without top coat). Isn't it gorgeous?! And remember, it's better than the pics! Colors by Llarowe is available at Llarowe. Keep an eye on their social media links below to find out when the next restock will be! Llarowe has a new Instagram account so even if you were following before you should click the link below and follow under the new account! Such a beautiful red! 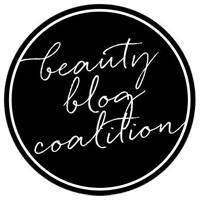 Your mani and photos are incredible! The bottle I bought at the last restock is in the mail as we speak. I can't wait for it to grt here! The bottle I bought at the last restock is en route as I type this. I can't wait for it to get here! Serum No. 5 - Another Year, Let's Cheer!